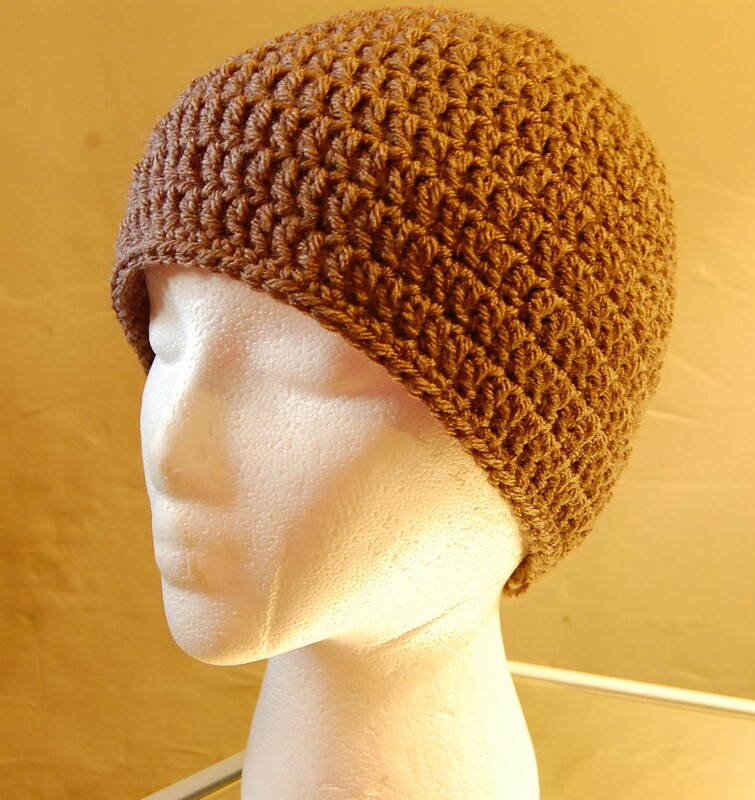 Looking for an easy, uncomplicated men’s crochet hat pattern? Something that’s good for a beginner? Search no more! I’ve written out the pattern and avoided crochet abbreviations so you know exactly what to do. Sized for a man, but will also fit women’s heads, too. 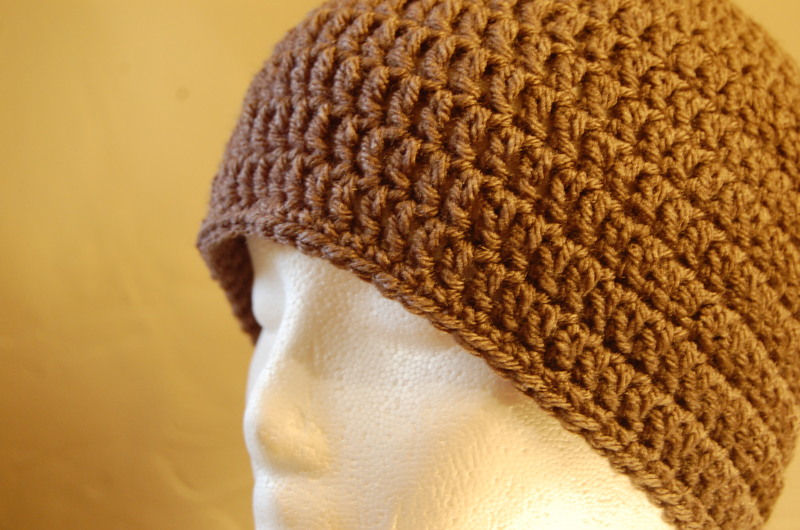 This simple men’s crochet hat pattern is easy. No frills, no weird stitches, just a tried and true shape that’s guaranteed to fit the guy in your life. Make one for your brother, you hubby, your friend or mailman. Side note: I have curly, thick hair which means I need a bigger hat. This hat fit my head so don’t let the “men’s” part of the title scare you away – this would be just as good for a women as a guy! All you need to know is how to make a double crochet, single crochet, chain stitch and slip stitch. Grab your hooks and let’s go! Chain 3, slip stitch into first chain to form loop. Round 1: Chain 2 (counts as first double crochet now and throughout). Work 12 more double crochet into ring. 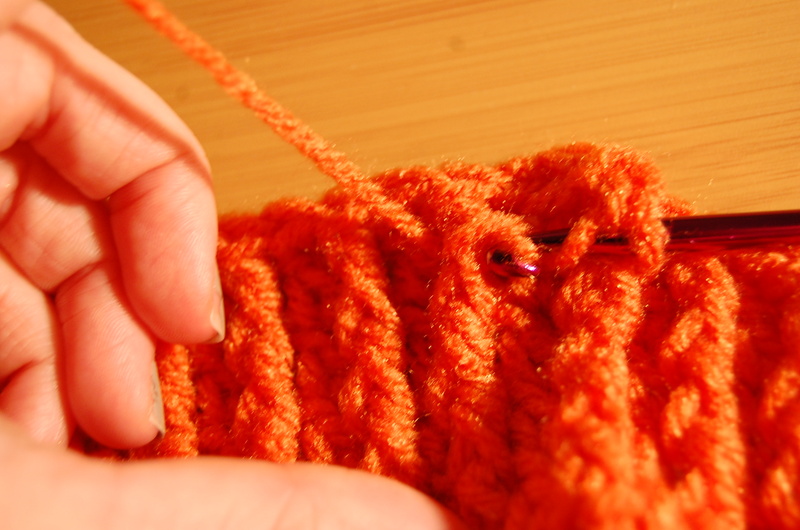 Slip stitch into top of chain 2 to join into a circle. (13 double crochet total). Round 2: Work 2 double crochet into each stitch around. Join with slip stitch to top of chain 2. (26 double crochet total). Round 3: Work 2 double crochet into first stitch, 1 dc into the next stitch. Repeat pattern of *2 1 2 1 double crochets* around. Join with slip stitch to top of chain 2. (39 double crochet total). Round 4: Work 2 double crochet into first stitch. 1 dc into each of the next 7 stitches. Repeat pattern of *2 double crochet…. 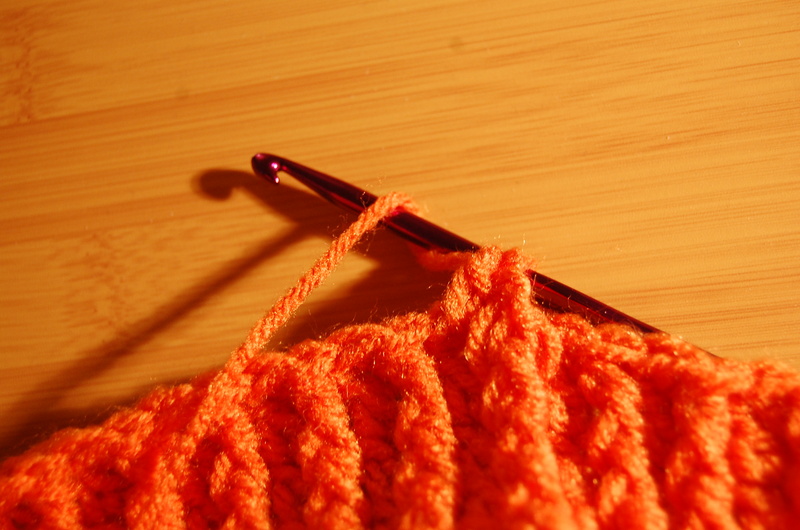 7 double crochets into next 7 stitches…. 2 double crochet into the next stitch* around. It’s ok if you don’t end perfectly. Join with slip stitch to top of chain 2. (46 or 47 double crochet). 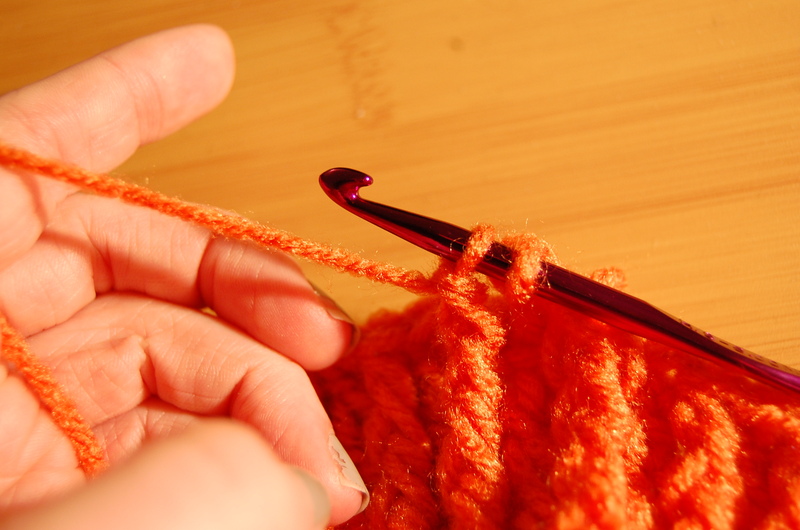 Rounds 5 – 13: Double crochet into each stitch around. (46 or 47 double crochet). Round 14: Chain 1 (counts as first single crochet). 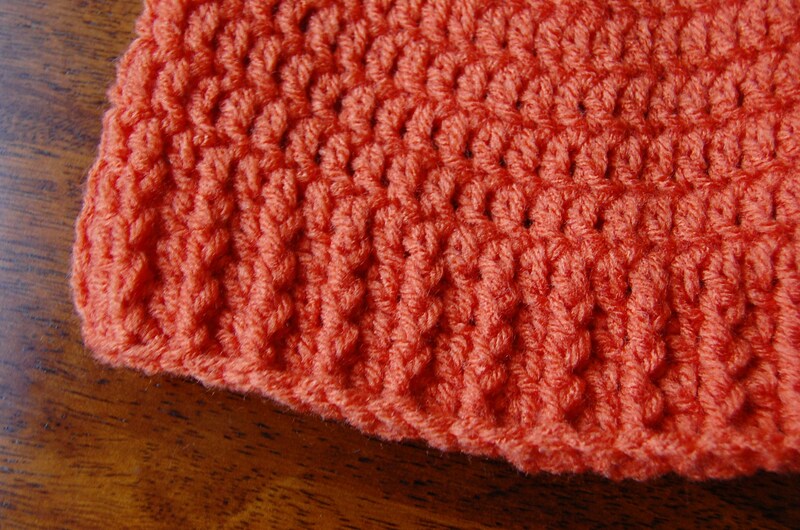 Single crochet in each stitch around. Slip stitch to top of chain 1 to join. Fasten off. (46 or 47 double crochet). You did it! This pattern is basic and simple enough that you can customize to your liking. You can add a stripe in of a different color for Round 11. Or maybe you’d like to make a fold-up brim? Simple repeat Round 5 a couple more times and your hat will be longer so you can fold up the ends. I’d love to hear if you make your very own men’s hat for someone. Leave a comment below! Whipped this bad boy up this weekend because I wanted a basic men’s hat pattern. You know, for those projects where you want a neutral base. 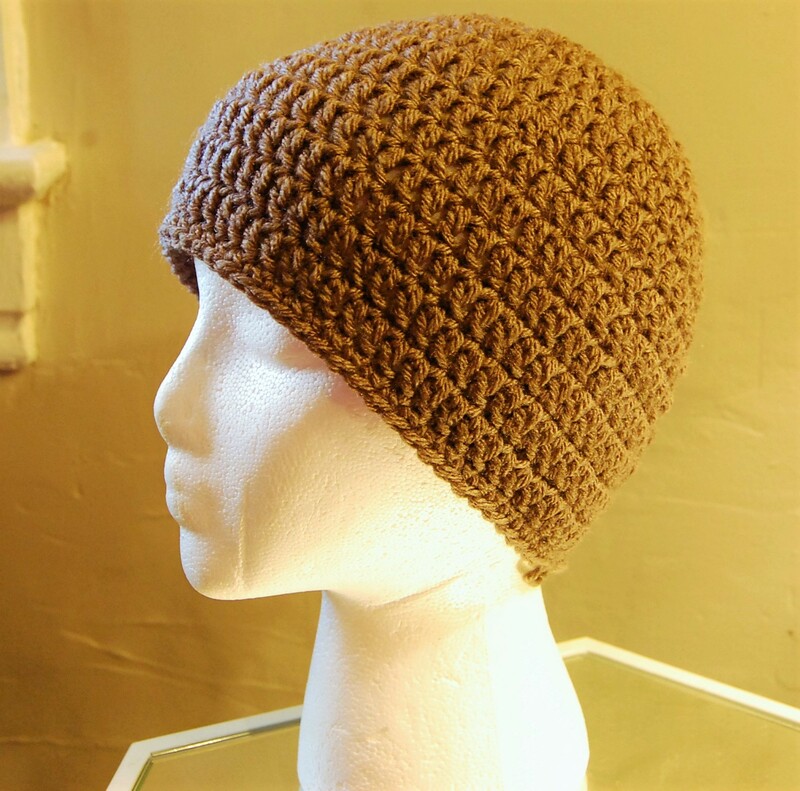 A few years ago, I made this men’s hat and wanted to create something that was sized a bit larger and without the textured band. 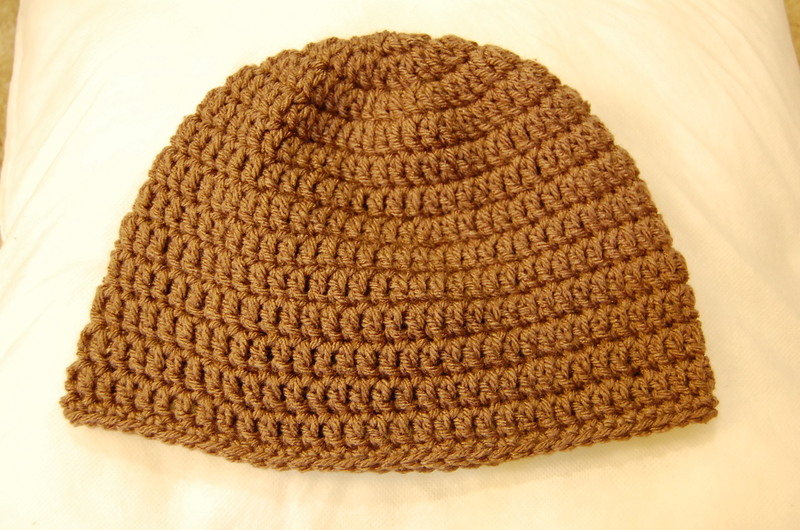 Finished hat will fit an adult male: 21.5 inches wide by 7.75 inches tall. Chain 3, join with sl st to form ring. Round 2: 2 DC into each stitch around (30 stitches). Measure gauge. Hat should measure 3 inches. Round 14: SC into each stitch. (63 stitches). Fasten off. Weave in end. Hi friends! 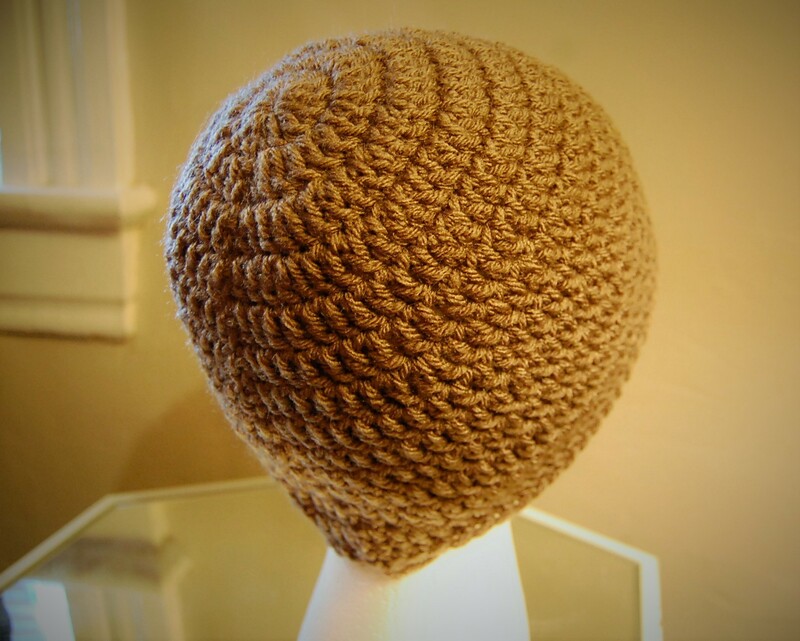 I haven’t posted a free crochet hat pattern in a while, so I thought it’s high time I share one. I woke up this Saturday morning at 7:40am and got started with my day (translation: reading, French vanilla latte, crocheting). Don’t you just love Saturdays? This hat was designed for a guy, but could easily be adapted for a girl. The ribbing on the bottom might be a tad masculine, but if it’s your style – go for it! 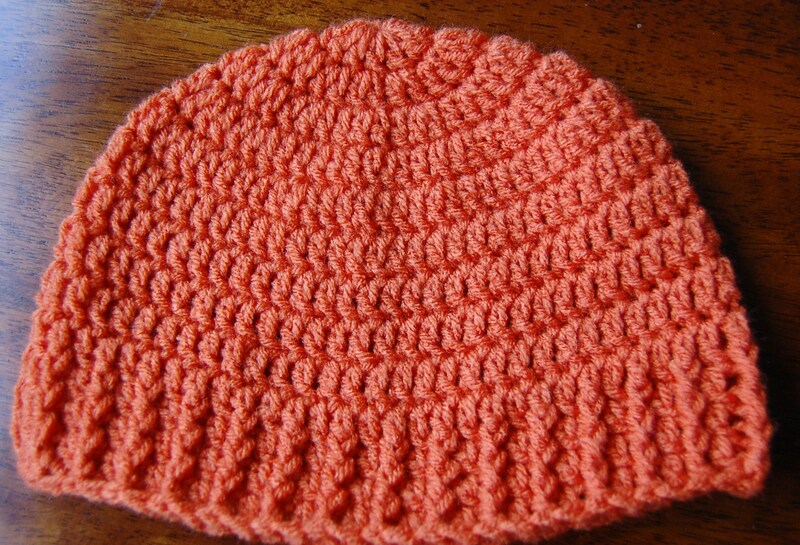 Teaser: This hat pattern would be the perfect compliment to JJCrochet’s first guest post, so keep it in your back pocket. FPDC (Front Post Double Crochet): Yarn over, insert hook from right to left behind post of stitch from previous round. Yarn over, pull loop from behind post (3 loops remain on hook). Yarn over, pull through two loops (2 loops on hook). Yarn over, pull through remaining two loops. Step 5: Yarn over, pull through one loop. FPSC (Front Post Single Crochet): Worked the same as FPDC, but no yarn over at beginning. Insert hook from right to left behind post of previous round. Yarn over, pull loop from behind post (2 loops on hook). Yarn over, pull through remaining two loops. First 3 Rows in Pattern = 4 Inches in Diameter. To ensure a perfect fit, take time to check your gauge and adjust hook size if necessary. Chain 3, join with slip stitch to form ring. Round 1: CH 2 (counts as first DC, now and throughout). 12 more DC into ring (13 sts). Join to top of ch-2 with a SL ST. Round 2: 2 DC into each stitch around (26 sts). Join to top of ch-2 with a SL ST. Round 3: *2 DC into next stitch, 1 DC in next stitch,* Repeat around (38 sts). Join to top of ch-2 with a SL ST. 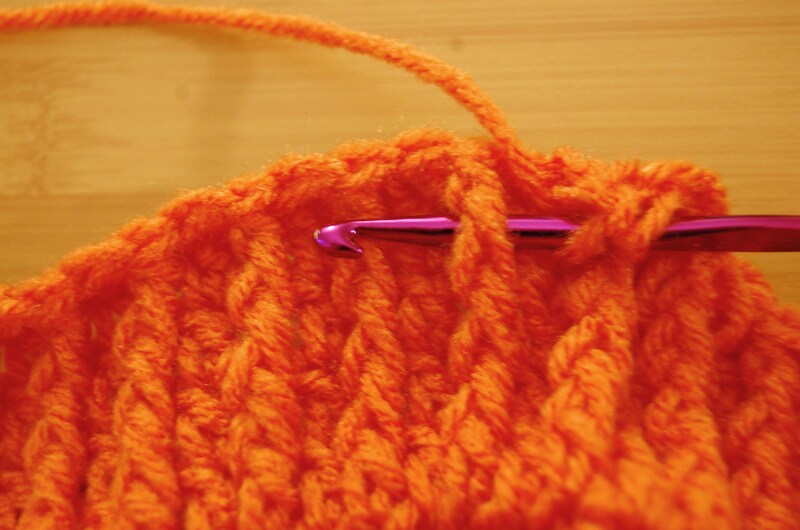 Round 4: *2 DC into next stitch, 1 DC in next 2 stitches,* Repeat around (50 sts). Join to top of ch-2 with a SL ST. Round 5: * 2 DC into next stitch, 1 DC in next 6 stitches,* Repeat around (55 sts). Join to top of ch-2 with a SL ST. Note: You might get 56 stitches, but that’s alright! 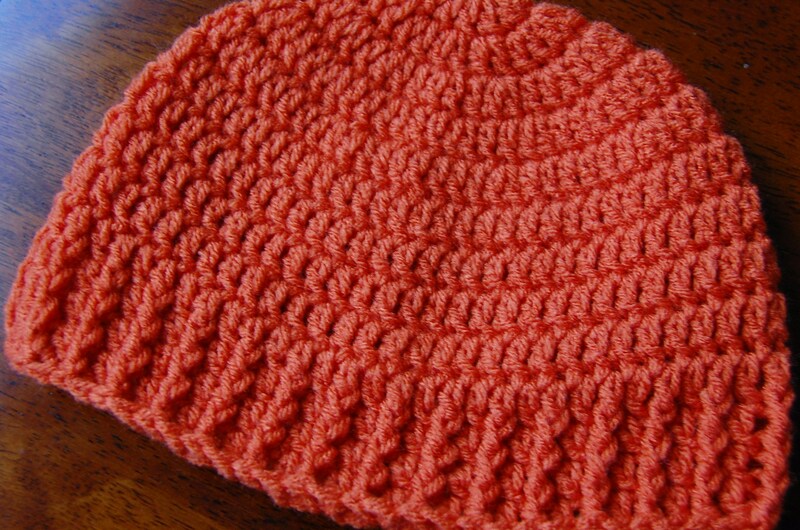 It won’t affect the overall size of your hat and it will still turn out just fine. If you do end up with 56 stitches in Round 5, it’s recommended you make 57 stitches total so you have an odd number to work the edging across. 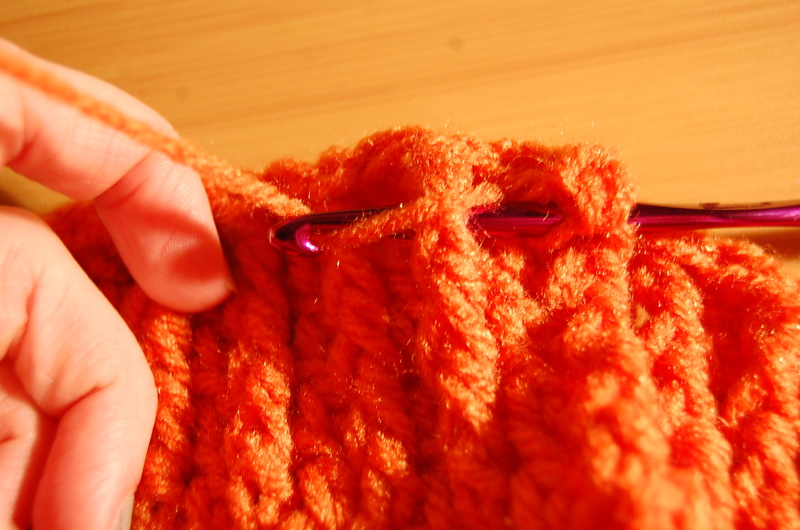 Rounds 6 – 10: 1 DC into each stitch around (55 sts). Join to top of ch-2 with a SL ST.
Rounds 11 – 13: Ch 2, *FPDC into next stitch, DC in next stitch,* Repeat around (55 sts). Join to top of ch-2 with a SL ST. Round 14: Ch 1 (counts as first SC), *FPSC into next stitch, SC into next stitch,* Repeat around *(55 sts). Join to top of ch-1 with a SL ST. If you’re having trouble viewing this pattern, please change your browser. Some users were having issues when using Internet Explorer. Firefox or Chrome are best. Thanks!